FUN FUN FUN!!!! 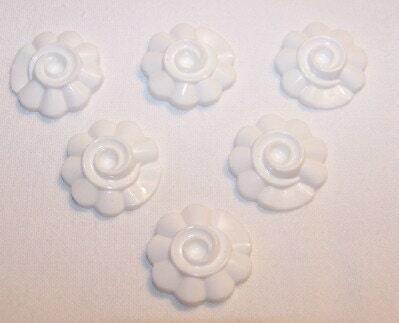 These vintage cabochons are really just too fun...they are a flower shape with a swirled center. Just perfect on their own but you could certainly add another stone to the center to push them over the top. I have these in other colors, all the colors are awesome. These measure 24mm. You will receive 6 of them. very nice items! fast delivery! Lovely things! Great customer service! Wonderful surprises! Thank you so much!